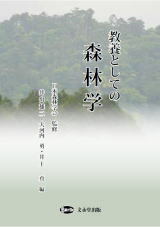 抄録: A model was developed for predicting the periodic annual volume increment (PAI) of forests using variables commonly recorded through field surveys or the remote sensing. The model was developed using the Italian National Forest Inventory (INFC2005) data, publicly available at www.inventarioforestale.org. Data from 5,707 plots were split into two groups. The first was used for fitting the model; the second was used for cross validation. Model reliability for applications at the local, in the Alpine and Mediterranean regions, and at the country level was tested. A sensitivity analysis was carried out to investigate the effects of entering inaccurate values of the number of trees per hectare, one of the predictors of the final model, that may occur in case of biased estimates from the remote sensing. During model calibration, the highest proportion of increment variation was captured using forest category as dummy variable and, in this respect, this study supports the classification of forests on ecological basis as a stratification criterion in environmental sampling. The model explained 72% of PAI and it predicted annual increment at plot level with no statistical difference to the observed value in any forest category, at the country level. 抄録: Biomass models for trees in Daxing'anling are imperative for carbon inventory, but available models are extremely scarce. The objective of this study was to formulate systems of additive equations to predict the aboveground biomass of two dominant deciduous species of Betula platyphylla and Populus davidiana in Daxing'anling using diameter at breast height (d) or both d and height (h) as independent variables. Best-fit models for individual fractions (stem wood, stem bark, branch and foliage) were developed simultaneously on the basis of seemingly unrelated regression, forcing compatibility among different components. Model performance was validated by the jackknifing method. The results revealed that log-transformed models are favorable and that all models consistently fit well within R2 = 0.908–0.994, and R2p = 0.898–0.994. Adding h into the additive models did not significantly improve the model fitting or performance, with branches and foliage yielding worse-fitting effects. Stem biomass contributed the largest proportion (approximately 60%) of aboveground biomass. In conclusion, the additive system of biomass equations using d as the single predictor could be easily and readily applied to further applications, providing a reference for biomass estimating and carbon accounting.